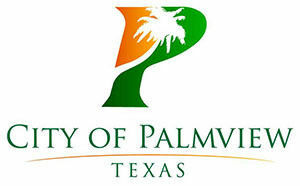 PALMVIEW — A property tax increase of 2.5 cents is being considered by the city, bringing the tax rate to 0.5001. Interim City Manager Leo Olivares presented the proposal to city commissioners during a public hearing Tuesday. Because property values have gone up from last year, the effective rate, which is the rate required to raise the same amount of revenue as the current year, went down to 0.4669. Property values are calculated by the county’s appraisal district. The maximum rate the city is allowed to set without voter approval is 0.5017. With the proposed rate of 0.5001, a home valued at $89,000 would pay an annual assessment of $22.24, or a monthly assessment of $1.85. The revenue raised from the higher tax is expected to go toward a project with the Agua Special Utility District to pave streets. The work is needed because of streets have been or will be dug up for the Palmview Wastewater Project, a project by Agua SUD to bring sewer services to Palmview. The city, Agua SUD and the county announced during a town hall meeting on Aug. 14 that they are working together to pay for the paving of roads. During the town hall, Agua SUD Executive Director Oscar Cancino said the contractors for the Wastewater Project are only getting paid to replace the part of the road that is dug up and that the Texas Water Development Board and other funding agencies don’t allow for the re-paving of the entire roadway. Olivares said Agua SUD is looking to leverage funds for the patch work on the streets and use them to buy asphalt, while the county would provide labor and equipment to pave the streets, forcing the three local entities to come up with the necessary funds on their own. “The problem is they’re just under a million dollars short to make that project happen, so we’re looking to program the additional tax revenues for that purpose,” Olivares said Tuesday. They would also need an additional $504,000 to connect vacant lots to the sewer system because the Water Development Board does not pay to connect the vacant lots. Olivares said it would be necessary to connect those lots before paving the streets. Olivares said the city hopes to recoup some of the funds as people begin to move onto the vacant lots and come to the city for building permits. Another possible revenue source being considered by the city would come from the purchase of an ambulance, which the city would bill insurers for that service. “So you’d see some revenues coming in from that,” he said. The next public hearing will be on Sept. 12.